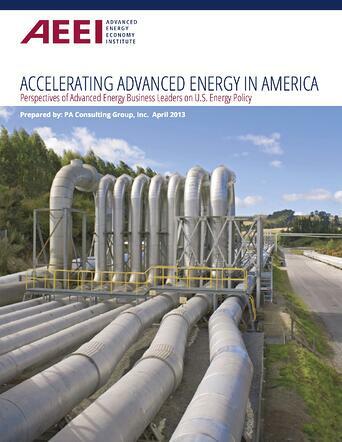 The Advanced Energy Economy Institute, AEE’s educational and charitable affiliate, commissioned a leading industry consultancy, PA Consulting Group, to interview CEOs and top executives of advanced energy companies, across a wide range of technologies and services, about how federal policies affect their businesses. The consultants interviewed companies big and small, established and start-up, technology focused and service-oriented. What are the primary business challenges faced by your firm? How does your business interface with federal policy? What changes to federal policy would you like to see occur? They want government policies crafted around broad problems, rather than pre-ordained solutions so that the market can identify the best ways forward.